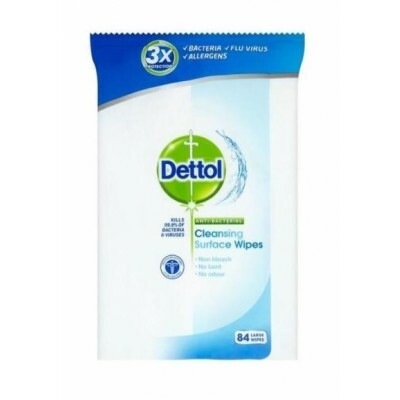 Dettol Cleansing Surface Wipes are handy little wipes that can be used for nearly all of your cleaning needs. They are particularly good when you don't want to clean your whole kitchen or bathroom and just want to give something a quick wipe down instead. 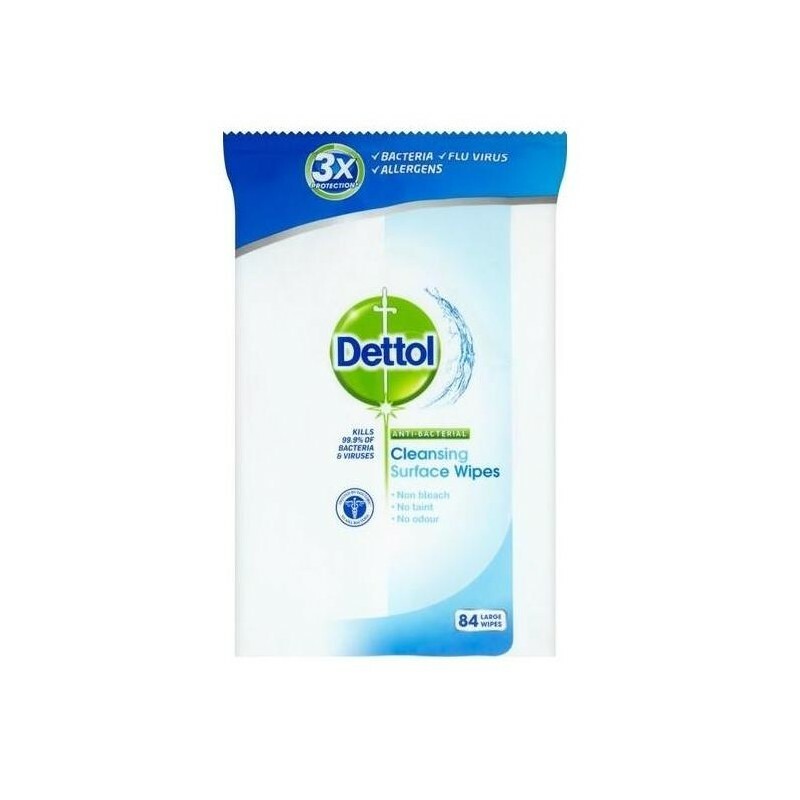 Dettol's Surface Cleanser Wipes kill 99.9% of bacteria and viruses, including E.coli, MRSA, salmonella and the flu virus. The gentle but effective wipes can be used on everything from chopping boards, to fridges and bins, to high chairs and changing mats. One pack contains 84 wipes.